We believe school should be a place for learning how to live and be a productive member of a community. Schools are not just for learning academic subject matter. Our approaches are constructed to bridge the gap between academic content, skill and concept learning with meaningful applications that make the pursuit of knowledge relevant in the real world. Our learners become co-constructors of their learning and this is a learning disposition that will be nurtured in our learners for a life-time. Temple Beth Sholom Innovative School is inspired by the social constructivist theory and the educational practices around this theory that happen in Reggio Emilia, Italy. Our approach is grounded in methods designed to grow intellectual dispositions within the context of authentic, real life learning experiences that provoke, stimulate, challenge, and deepen the mind for the 21st Century demands. We are dedicated to joyfully educating the whole child. We are an integral extension of our Temple Beth Sholom Community and we live and learn Jewishly every day. Our practice is guided by our belief that children are competent. Our learners become the co-designers for thinking and learning experiences around things that matter to them! They are empowered and given the space to shape and re-shape their mindsets around big ideas and intents. We value their differences and respect them as individuals, within their different perspectives a collaborative learning experience develops and evolves. Process is viewed as essential to constructing knowledge. Within this practice, un-hurried time is given for creating, exploring, theorizing, negotiating differences, developing theories, reflecting, and making new meaning. Sometimes, this learning process leads to products in the form of writings, structures, paintings, and creative dances, to list just a few. These products are original designs constructed by our learners individually and collaboratively, they reflect both the dedication of our learners as well as allow us to assess their learning growth. Our nurturing and caring learning spaces reflect our respect for our learners and are designed to promote encounters, build relationships, and foster creativity and innovation. This happens because rich and meaningful materials are aesthetically presented and available to learners. Our environment allows for flexibility and change to suit what is best for the specific task, the learner and whether the “task” is individual or group oriented. Our learning spaces are ample allowing for movement throughout the day. We believe that movement is necessary for our young learners. Our approaches value the cognitive, effective, linguistic, physical, and spiritual development of the child. Each of these areas, all inextricably linked, are equally considered within the learning process. Each learner’s strengths, personal goals, interests, and needs are viewed as essential to designing a personalized approach. We view our families as essential partners along their children’s educational journey. In partnership, family’s participation in the life of the school is seen as critical to reaching higher and higher levels of excellence in our daily experiences. Family’s perspectives, ideas, questions, and involvement are vital to achieving our collective goals. Our documentation is an on-going reflection of how learning happens. It supports our process of knowing how our learners think, wonder, process and learn. Through this lens we can better understand our learners and personalize their experience. It is an investigative / research tool for our educators to develop and expand our pedagogical understanding. Our educators meet regularly to discuss this documentation, collaborate, and improve our approach. When we make learning visible in this way, it opens us up to relationships and meanings we might otherwise have overlooked. This is a dynamic approach to pedagogy that allows for constant evolution. We believe that building a sustainable learning and living school community not only contributes to constructive academic success, but is also linked to a positive sense of self in relationship to other. We know that when our learners grow their ability to see different perspectives amongst the members of their community, they naturally become positive, caring, respectful, kind, and joyful people within and beyond our shared school community. Our Kehilla Approach™ enables us to grow a web of relationships that permeates our practices and approaches throughout the entire day. Within our Jewish tradition, it is a mitzvah to do acts of loving kindness (Derekh Eretz) – a virtue in many cultures and religions. 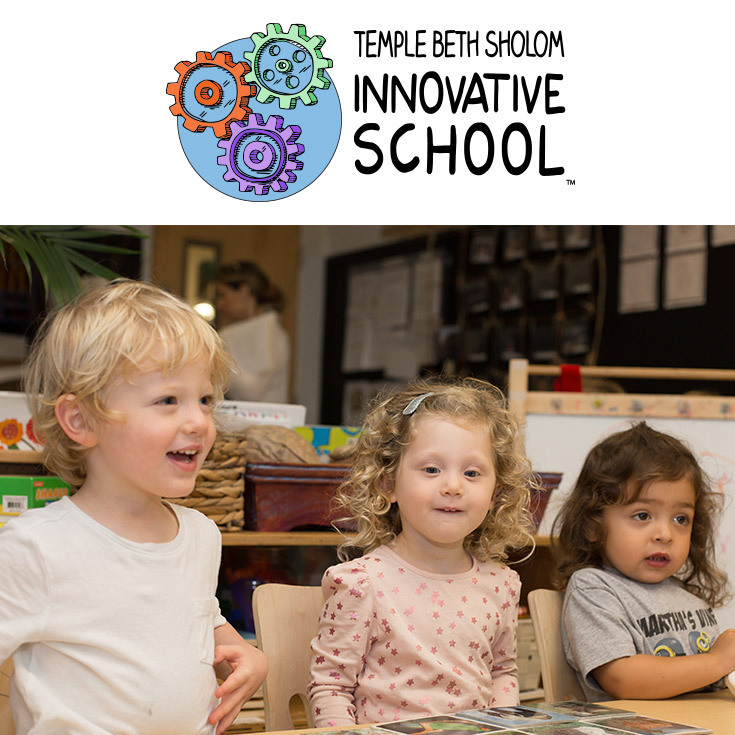 At Temple Beth Sholom Innovative School, connections and relationships are at the core of our philosophical, pedagogical, and ethical practices and approaches. We want to raise our children to be kind, respectful and socially competent. Within our social constructive practices, we believe that social and emotional competency development is critical to the development of understanding self. Achieving this benchmark is an essential goal to nurturing interdependent relationships with the people within the environment. We know that when our learners understand their own personal feelings, then they are ripe for registering the feelings of others. We strive to nurture caring, responsive, and empathetic community members. Open, honest, and transparent communication is critical to growing a healthy community where members feel they are safe and trusted. We believe that embodying an honest disposition means that our learners can constructively approach even the most difficult of situations with integrity, strength, and resonance. We strive to create sacred space and sacred time within our school community, which helps to define our unique approach to developing interdependent dispositions. Our learners grow to respect one another. They work together to ensure that each individual’s needs are met appropriately and effectively. Building a disposition to become a life-long learner starts very early on and the adults in a young child’s life have the awesome opportunity to model life-long learning habits. The development of strong mindsets that include such habits as persistency, motivation, curiosity, and agency can lead to a lifetime of joyful learning. We live in a world where differences often invoke fear and hate. Our learners develop an awareness of differences at an early age. It is our responsibility to help them to naturally think about how other people feel and think. We want to nurture our learners’ dispositions towards seeing different perspectives within a world that includes everyone. Awareness, respectfulness, fairness, and justice provide substance for creating common threads of acceptance and appreciation of differences.